I’ve been freelancing for a parenting website for over a year now, and part of my job as content editor is to watch hundreds of videos on raising happy, healthy children. I’ve heard nearly every parenting author/expert in the English-speaking world share their two cents on what it truly means to be a “good” parent, and one thing is clear: no one has a definitive answer. It’s not the kind of thing you can quantify, because it’s such an intuitive thing. 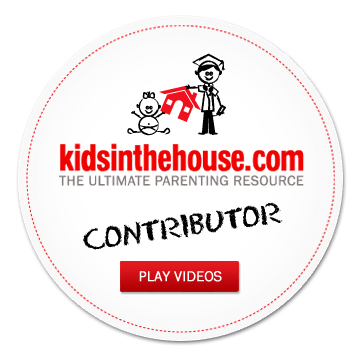 There’s a multitude of ways to support your kids, help them thrive, and maintain a positive home environment. Happy families – “good” families – don’t look a certain way, and the best parents are sometimes the ones who do everything “wrong” but do it with enough love and positivity that it all just works. And as we all know, you can do everything right as a parent, and still have a child who is intrinsically unhappy or must travel through life with insurmountable challenges. That’s why I love Suzanne L.’s (no relation ;0 ) story below. I honestly believe that no matter how you do this parenting thing, whatever rules you follow or labels you attach to yourself – what matters most is the energy you put behind it. If we are modeling the behaviors we want to see in our kids – grace, resilience, kindness, fortitude, positivity – we are doing our job as parents. And by the same token, by taking care of ourselves, of our own needs and desires, we are sending a message to our kids that we matter; that we, and they, are worthy of respect. So, here’s to saying sayonara to the “crazy head trips” and focusing on what we are actually feeding them, as Suzanne L. describes below. Last year, I gave birth to my son and I totally went into a crazy head trip about feeling less than a mom for not breastfeeding. My son had really bad jaundice and needed to be in the NICU for his first week of life. I was a new mom and trying to learn how to breastfeed while the hospital staff needed my son to be fed as much as possible and as quickly as possible to get back under the 3 lights that he needed to be under due to the severity of his bilirubin levels. This was definitely not conducive to a happy breastfeeding experience. All I wanted was for my son to be well and for us to be able to take him home as soon as possible, so I was fine with formula. It was fast and he needed to get back under those lights. When we brought my son home, he was already so trained to eat from the 4 oz. bottle that he protested very loudly for his bottle every time I tried to breastfeed him because it was easy, fast and gave him 4 oz, which my breasts could not provide. Then my Mom told me how my aunt, her older sister, did not produce milk for her son, my cousin. Back then, formula was not available, so my aunt had to have her sister-in-law who had given birth to her son around the same time as my cousin breastfeed my cousin for his first year of life. I could not even fathom having another woman feed my son. Back then, there was no other choice. I gave birth to my daughter this past November and even after the experience with my son, I still felt a bit guilty about formula feeding. Thankfully, I got over the guilt a lot sooner and my daughter actually liked to breastfeed from time to time which I stopped last week due to the lack of milk supply. She is very happy with formula and she is very healthy as is my son who is now almost 18 months old. I know of many women that have tried breastfeeding and either did not have enough milk or got serious infections which forced them to stop and go to formula. I also know of many women that chose to use formula immediately due to their own set of circumstances. If you can breastfeed successfully, which my sister was able to do with her 2 children, that is great; however, that gives NO ONE the right to judge anyone else’s circumstances. My sister breastfed both of her children and she would NEVER judge anyone else for formula feeding, including me. Above all, the most important thing is attachment and I know of mothers who breastfeed who are not all that great with their children. Breastfeeding will not automatically make you Mom of the Year. There are so many wonderful ways to build a healthy attachment relationship with your children, just like my Mom was able to do with my brothers, sister and me. Feeding a baby is just one part of a huge whole when loving and caring for your children. Playing with them, hugging them, soothing them when they are hurt; the list goes on and on. Focusing only on which way you are feeding your child is really missing the big picture – as I noted above with my Mom “you are all healthy, kind, smart and athletic” – these attributes do not come from a bottle nor a breast – these attributes come from love and guidance – a child witnessing the actions of their parents. Our actions are what we really need to be focused on as opposed to whether or not we are giving our children a breast or a bottle – what are we really feeding them? love/hate judgment/acceptance, intolerance/respect – take a good long look in the mirror, your own mirror, not anyone else’s, because that is what your child is seeing, that is what your child is being fed. Thank you so much for posting this.. for me (who needed to read it today) and for all other moms out there who do too.